Earth Mama Retreat House is a place of retreat for anyone who just wants to have a break from their hectic and busy lives. Especially for those of you who feel burned out, stressed or depressed. This retreat offers a nurturing environment where peace and harmony can be experienced. The retreat can be used just to rest or heal, and also to make up the balance of your life. The greatest challenge in life is to just be yourself and this is what we can offer you: to be reminded who you are and why you are here. The healing energy of Avalon is known to transform or to just to reconnect to yourself. 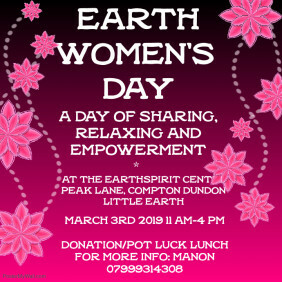 During your retreat you are in the safe hands of Manon, an Earth Priestess, Life Guide and Retreat Coordinator, who has helped many with guiding them back to their natural authentic selves. 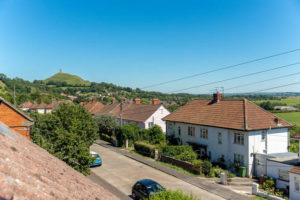 Manon also organises tours and walks to sacred places in and outside of Glastonbury, she teaches Celtic traditions and she is a sound healer and singer. Earth Mama Retreat House offers different Retreat Programs aimed at working with you to reconnect. The program can include tours to the sacred places of Glastonbury like the Tor, The red and white Spring, the Abbey and more. 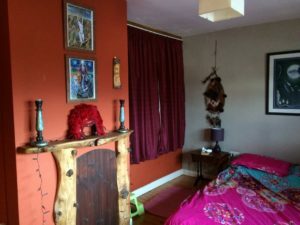 It certainly includes a daily guided meditation, a Celtic ceremony, sound healing, a (tarot) life coaching session and if needed a nutrition and exercise consultation. The retreat is aimed to minimise any disturbance or influence of wifi, social media, internet and telephone. Earth Mama Retreat House also offers AirBnB. 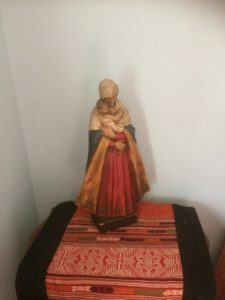 * Carla, NL: Thank you for your special guidance; your rituals gave me a deep connection with the sacred places we visited and with everything else. But most important: they gave me a powerful connection with my heart, with myself. Thank you so much for this you sweet special being! *Laurie, NL: I am very grateful that my path had guided me to this special place and to you. I will continue to follow my heart and will radiate its light for myself and others. When the time is ripe to realise my dream, I will start the children’s home that we talked about! *Lorie, USA: Loved, loved, loved your energy! Thank you for all you did to make this experience seamless and beautiful! Blessings to you! *Kathy, USA: Manon, your reading meant so much to me. I know it will make a big difference in my life. Good luck in anything you do. You are a light! *Jacqui, AUS: Blessings to you Earth Mama, thank you so much for providing such a beautiful, warm, nurturing, quiet home for me. You are the best hostess I ever had and our time at Stonehenge is stamped in my mind and heart forever. *Rachel& Srijana,UK: What a lovely space you have provided us. We found our sanctuary in Glastonbury very peaceful and felt very welcomed by your warm hospitality.